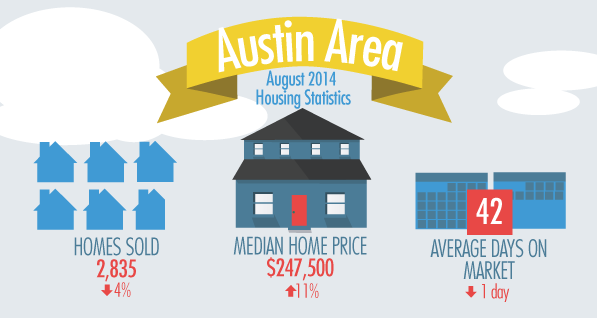 Are Austin Housing Prices Really 19% Overvalued? If you saw the Trulia headline that said Austin Homes are overvalued by 19%, you might be a little anxious – especially if you’re considering a purchase or have recently purchased. No-one wants to buy something that will potentially be worth four fifths of what they paid for it in the coming months. That’s just for buying new cars! Is Trulia’s post in it’s “bubble watch” section just sensationalist headline fodder designed to garner attention and discussion, or is there some data underpinning the claim? 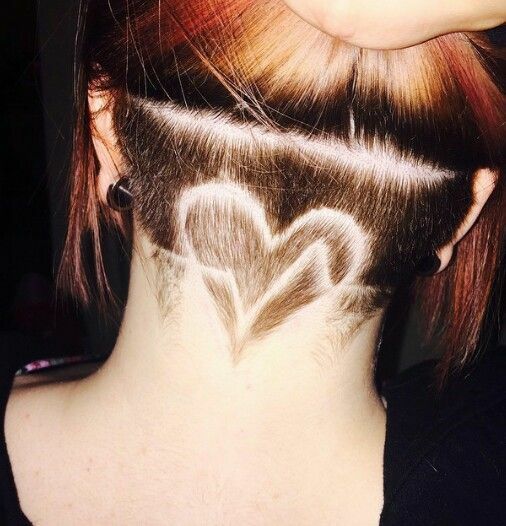 Can’t wade through the charts – just skip to the summary. First off, if you aren’t aware, rival real estate portal Zillow purchased Trulia earlier in 2014, so they’re the boss now. They make their money ostensibly by selling advertising (often to real estate brokers and agents) while offering some handy-dandy tools for consumers – charts, listings, mortgage tools and the like. So just like any other portals, these certainly stand to benefit if they see more traffic on their website. The Case-Shiller House Price Index which unfortunately doesn’t publish data for Austin – it might be that Trulia are using the Dallas area as a proxy in their research. If you’ve been to Dallas and Austin, you know that although they share the same State, the housing markets are wildly different. The index does say that Dallas is peaking in values right now. The Federal Housing Financing Authority FHFA – they report at a very broad brush level – Austin is withing the West South Central region in this report, but they concur that house prices are up for the twelfth consecutive quarter. MLS pricing data. Of course, it wouldn’t be a Sherlock Homes Austin post if I didn’t mention that the real estate portals don’t have access to sold price information in the State of Texas. There’s a law about that. They do have access to list price information. To be fair, in this market, list prices are very close to sold prices. Thirdly, Trulia later posted that they hadn’t planned to be alarmist in their conclusions and in their own opinion, the housing market was not near the epic bubble proportions of before, where “some metros were 50% or even 75% overvalued”. They also say, “Furthermore, mortgage credit is, by many measures, quite tight: we’re not fueling a new bubble by over-lending, unlike last decade”. So in other words, they’re saying that the likely implications of their data are that housing markets are probably not going to crash. Though it’s obviously hard to predict, and you can’t really call it until after it happens. If you lived by reports from Trulia, you’d probably be rushing to sell your home in Austin if you have one, and buy in Detroit where things are fantastically undervalued. Unlikely, right? Austin has strong fundamentals of job growth and no single industry which is driving the local economy. While you might take the words of the Austin Board of Realtors’s president Bill Evans with a pinch of Real Estate salt, he voices the same opinion: “…local economic experts continue to point to our region’s strong economic and population growth as foundations of a healthy market…”. 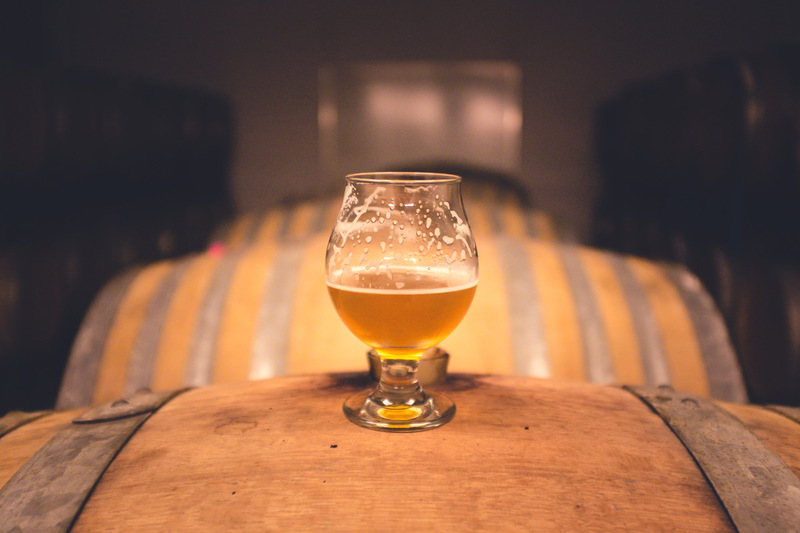 I tend to agree – Real Estate is after all very local. Metrostudy report on new home building activity – interestingly in their report they see 6.4 months of new home inventory – a fairly balanced market, and much larger than the resale inventory which dominates the MLS. They also highlight data that the number of sub $150k home starts has declined while the $500k+ home starts have flourished, saying that this is an indication of shifting fundamentals in Austin – a rising price point for example. As usual, we take a dive into the Austin Multiple Listing System to see what it has to say. For simplicity these charts are based on Single Family Homes within the City of Austin. 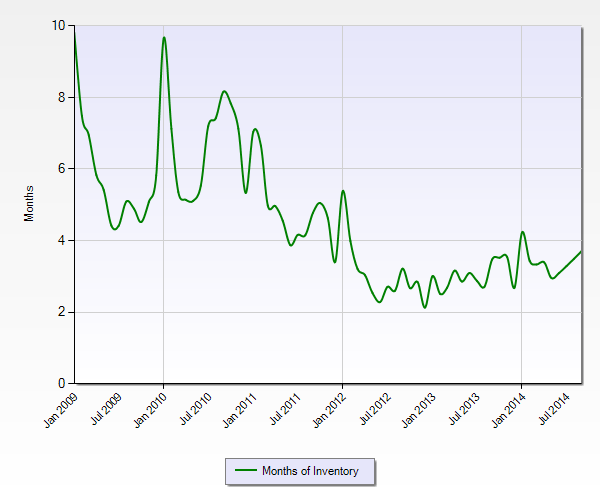 Austin’s housing inventory is starting to rise, hopefully back towards a healthy market. It is hard to see the typical seasonal inventory cycle in the last few years, but typically we expect a surplus of homes at the end of the summer and holiday season. 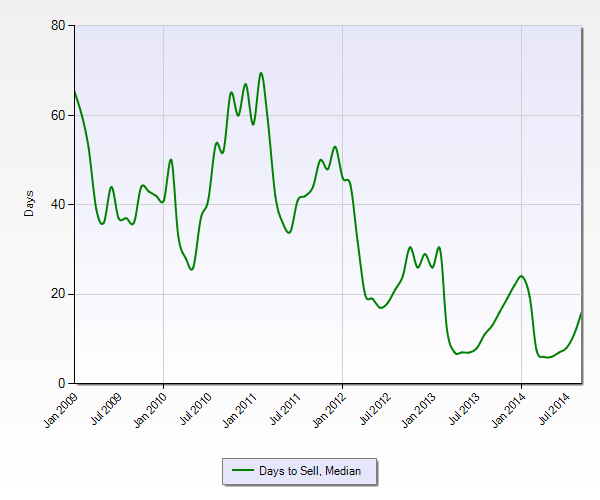 The median number of days to sell shows the seasonal cycle better. Yes, resale home inventory is still relatively low in town, but it does take time to sell a home, and more time in the winter. The above chart has a longer time span, and though you might have expected to see a vast change in the median house price during the last crash, it really isn’t there. 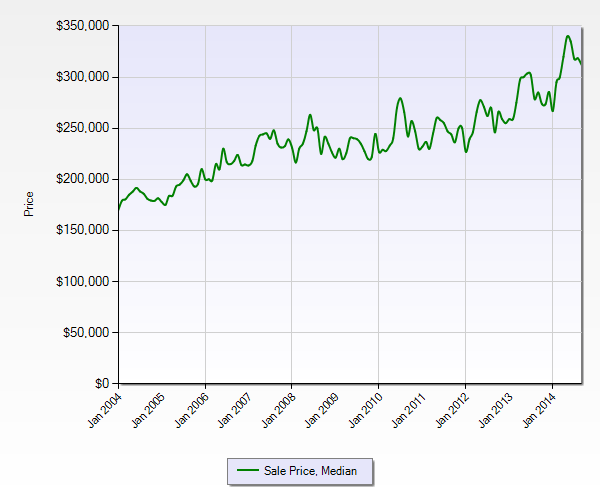 Median house prices have been rising steadily in general, and a little more quickly of late. This is the Austin Board’s infographic which takes a bit of interpretation – it covers all housing and all areas in the region, comparing to this month last year. It’s always a few months out of date to allow for closings and calculations, and it does show that home sales are slowing. House prices have been rising at quite a clip around Austin. While there are some claims of over valuation, and some hesitation in the market, we’re still not quite back to equilibrium. Every home is different, and every neighborhood has its own quirks. If you would like some advice specific to your home and your neighborhood, please get in touch at 512 215 4785. If you’re not ready to talk to a human, you can always get a home values report relevant to your neighborhood here. If homes are overpriced, won’t increasing interest rates cause a drop? The market tends not to stay stable for very long, nor does it tend to move as fast as we’ve seen for long. I think volume will go down at some point, but I don’t think we’ll see huge slides for homes in the heart of Austin. If affordability goes down (higher rates) then I expect a slow down for sure.